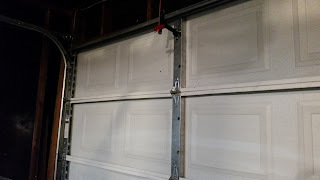 Yesterday one of the wires in the pulley system for the garage door snapped. 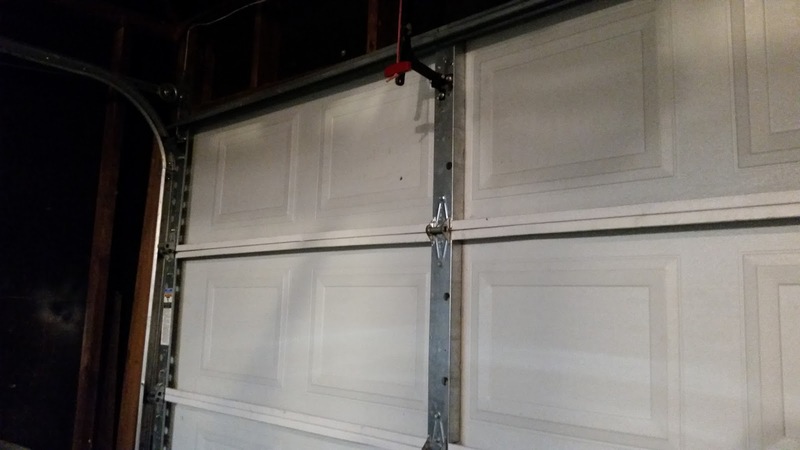 The door still goes up and down, but it puts too much strain on the rest of the system if you leave it alone. So for now, since it's so hard to carve out enough time in the day to fix it during the week, Chris has been helping open and close it so I can leave for work every day.